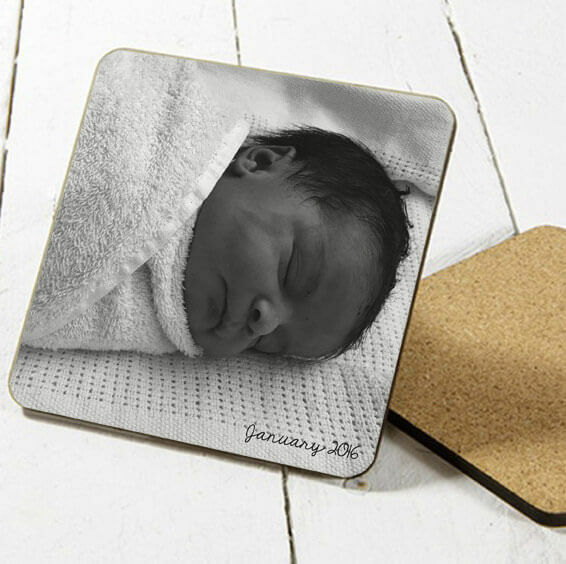 Photo coasters. 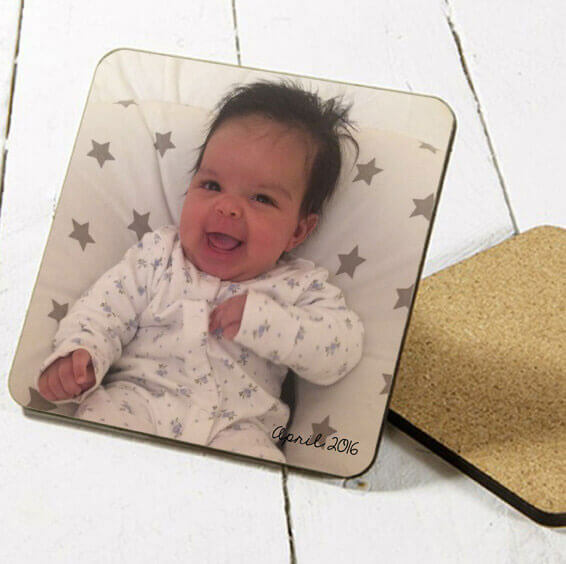 Put your favourite photo on coasters to show them off on the office, coffee or dinner table. 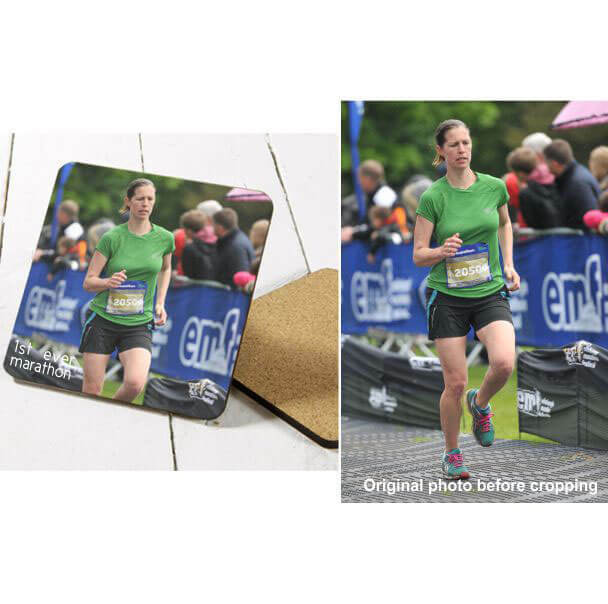 We all have our favourite race photos that would look amazing on any office, coffee or dinner table. You can add custom wording. Coasters have a cork backing to protect surface. Runaholic design on a black background. 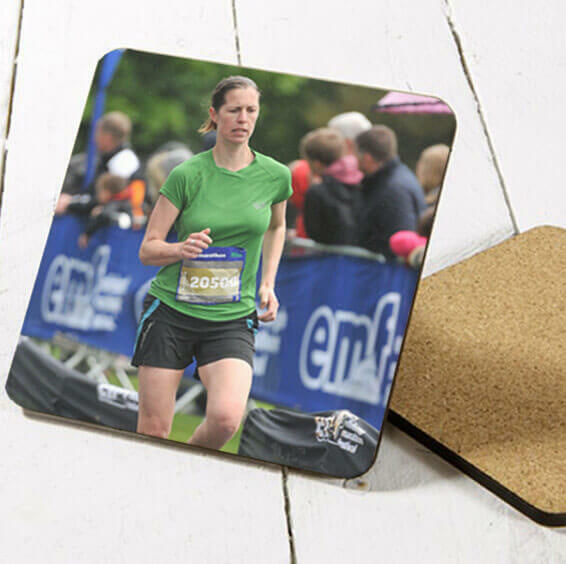 Coasters have a cork backing to protect surface and have a glossy finish to them. Great gift for any runner. Perfect for all. Look great on any coffee table or office desk. You did it. You Finished Your Race. Well Done. 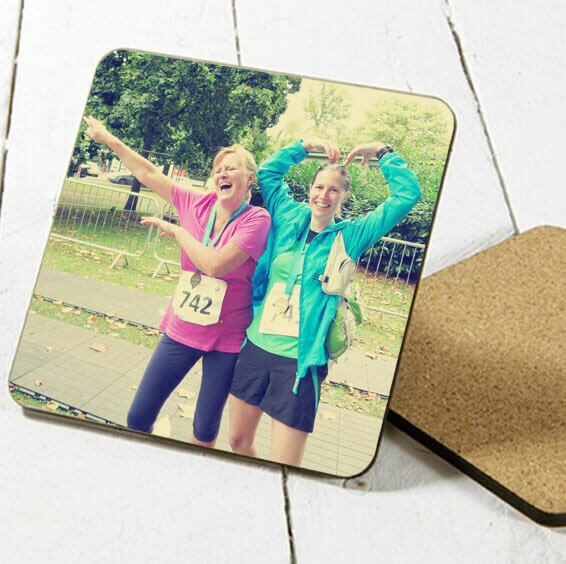 These fun, colourful coasters can be customised be adding the date, time and race to make it extra special. Cork backing to protect surface. Single coasters size: Approx 95mm x 95mm. We can usually get orders out in 1-2 days depending on stock levels. When we have completed your order we send via one of the delivery options you have chosen (see below for more information). If you want your order by a certain date, please add this to notes and we will do our best but can’t guarantee. Looks stunning on the wall. These fun, bespoke wall plaques can be customised be adding the date, time and race to make it extra special. Choose from 4 colours colours. Please email us if you would prefer another colour not listed. You will need to email us your photos. For best results photos should be hi-res and good quality. We can't use any photos which have watermarks on, you need to have permission to use the photos you send us. We may have to crop photos to fit the plaque. We will send you a proof of the plaque before printing for your approval. Please send us the photos you would like. You can have as many or as little photos as you like but we may not be able to use all of them. The more you have the smaller they will be. You can have just 2 photos if you prefer. We will send you a proof before printing for your approval. You can purchase the cover only - £19.20 or the cover and filler - £27.60.